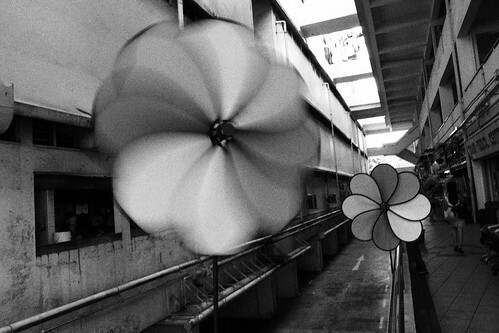 Winds of change – the windmills at Rochor Centre spin in the winds of change which will soon sweep over this place. By 2016, it will be torn down and replaced with a highway. In life, changes come to each and everyone of us, sometimes in subtle, imperceptible ways, and sometimes, in a violent cataclysmic fashion, jolting us out of our self-fashioned cocoons of our daily habits and routines. This month, I’ve visited places that are changing, people who will be forced to relocate, and confronted my usual habits and routines of seeing and making pictures. 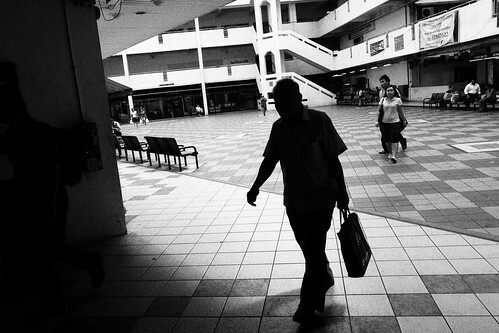 Silhouette, Rochor Centre 2013 – a shadow of its past glory, Rochor Centre, with its 4 residential blocks will been dropped from the government’s conservation plans and will make way for a new highway to cut down traveling time. Take Rochor Centre for instance, the iconic multi-colored cluster of housing blocks, offices and shop houses sitting on premise real estate near Bugis Mrt. Rochor Centre is listed as a landmark to be protected by the Urban Renewal Authority of Singapore (URA). However, on 16 Nov 2011, the Land Transport Authority and Singapore Land Authority announced that Rochor Centre will be demolished to make way for the construction of the North-South Expressway by 2016. 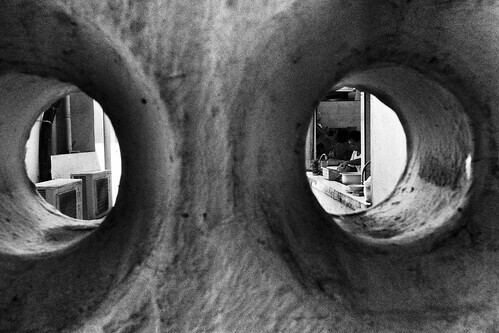 Eyes into the past. 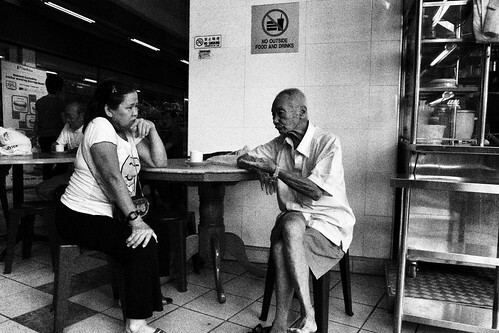 Rochor Centre, 2013. Another iconic landmark in Singapore awaiting imminent destruction. This shocking change of mind came not long after the government’s decision to destroy part of Bukit Brown, the largest Chinese cemetery outside of China, that iconic lush green area replete with our nation’s history, also for the sake of a highway. In Singapore, it seems we are willing to destroy our own heritage and history in the name of progress. Many have lived and business business here since it was first built in 1977. By 2016, a reported 567 households and 187 shops and eating houses in the area will have to relocate. I will be blogging more about Rochor Centre in the next few weeks as it’s an on-going project – I have pictures from visits to the place that I am still sorting out. On a positive note, I chanced upon a Chay Kway Tiao (a kind of local fried noodle delicacy) seller who has been doing business for the past 30 years, together with his wife, at the very same stall. 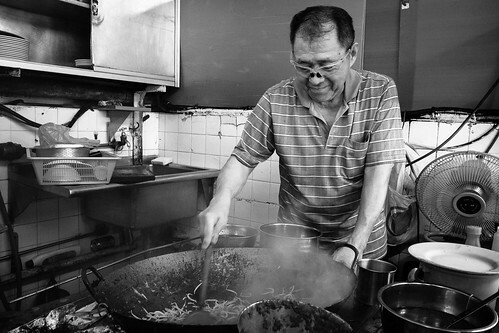 Chay Kway Tiao seller at Bukit Merah Central. He and his wife has been at it for over 30 years. This kind of hard work and consistency is rare in a technicolor generation where instant wealth, recognition and upward mobility are valued over traditional values like diligence. Perhaps there is hope some of the spirit of this past generation will filter down. I also found a quaint part of Red Hill Estate where red brick walls still made up part of the buildings in the area. Remnants of old memories linger on, even as many are being ripped from our collective consciousness. 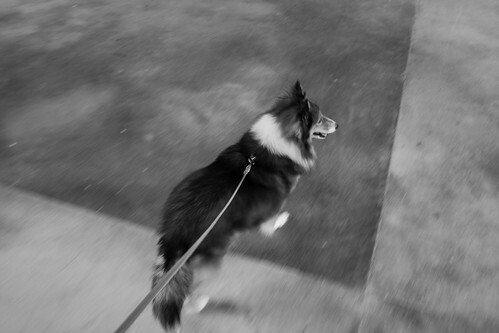 Me and Whisky, walking on….. I guess I am in a rambling mood, as I too, must face the road ahead with all the changes that are coming, or already in place. Like I said in my previous post, I’ll just have to keep walking and trust God……. PS: Most of the pictures in this post (except “Young Couple”) were made with a new camera I acquired at a close-out sale, the now discontinued Ricoh GRD IV, which remains a formidable street camera. Catch my part-review, part editorial on this camera, and the upcoming new Ricoh GR over here at threeguyswithcameras.com, a camera review site I also write for. 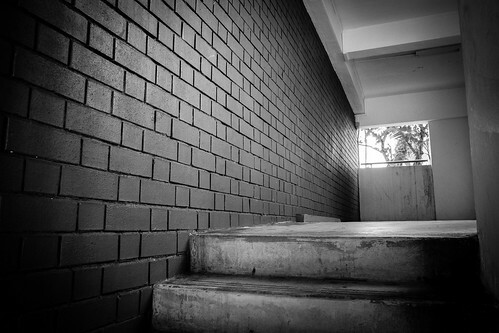 No, I’m not giving up my Leica M9! 🙂 But this camera is a perfect complement on the streets.